Yes that’s right! 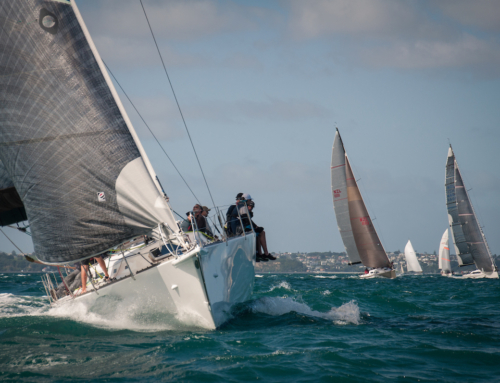 Hamish Milne and his Moody Blue super-charged tanker won the (cruising division) of Airlie Beach Race Week! We asked Hamish to tell us all about this, and this is what we received. After leaving the delights, and challenges of New Caledonia, we set sail for Mackay in Queensland. We had planned this trip some time ago, over a few beverages, and planned to visit Chesterfield reef en-route. A good idea that turned out to be one of life’s great experiences. The morning we arrived at the reef, we had a double hook up, which became the norm, on our fishing lines. Having previously landed Mahi Mahi and dogtooth, we were a little surprised by the fish being taken by sharks, immediately! Picture this and then having whales breaching just in front of us, was mind boggling. And no… We didn’t have cameras out because we are blokes. Mackay is a mining services town, and was perfectly adequate to source a knackered top rudder bearing, and repair it before our two weeks of sailing regattas in the Whitsundays. First up was Airlie Beach. The more relaxed of the two regattas, we happened to arrive on their record spring tides, meaning we were unable to get into our berth immediately due to low tides, a problem to plague us during the event. We then also discovered that the after race functions were now held at the Whitsunday Sailing Club, closer to the other marina in Airlie Beach than ours and a significant walk from Abel Point marina where we were. First world problems indeed. Anyway, it’s the same for everybody, so into the racing. 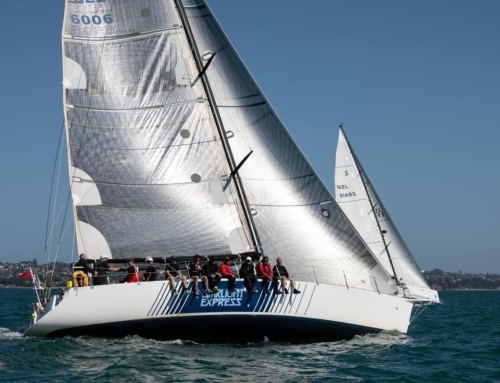 I haven’t done any serious regattas for a long time and Moody Blue is no race boat, so we entered the “cruising” division with extras, noting their proviso for no exotic sails. We fronted up in the first race and noted that the boats we were competing with were anything but cruising, certainly all black or similar sails! We planned to just take it easy in the first race so not to shag our handicap, but unfortunately, our little used gennaker was the perfect angle for the first leg, and the fleet sagging off, saw us first to the bottom Mark, and a first on handicap, totally against plan!! 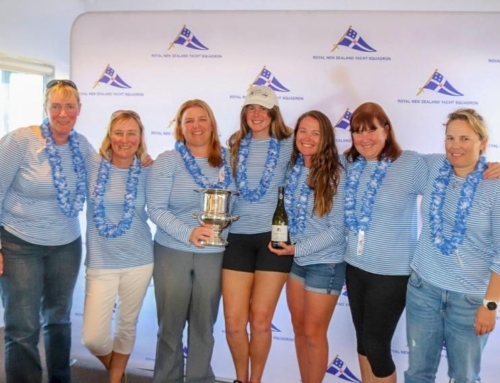 We had a consistent regatta, with our drop occurring in a real light race, the boats Achilles heel, and thankfully enough breeze to keep the bus moving during the other races, and enough for two bullets and a win in the division overall. Our opposition were extremely surprised by the turn of speed for an obvious cruising boat. We are now at Hamilton Island Race Week, and have entered the “Hamilton Island Division 2” which is predominantly 50’ Euro cruisers. Once again our plan was to not show too much but a perfect angle again, this time for our big spinnaker, means we decimated our cruising brothers, and a first on line 2nd handicap. As a write this, having finished race two, another line, but 4th handicap, I have to say “Hammo” is a cool regatta and can thoroughly recommend! Righto, that’s enough for now. We have some cruise racing to do!